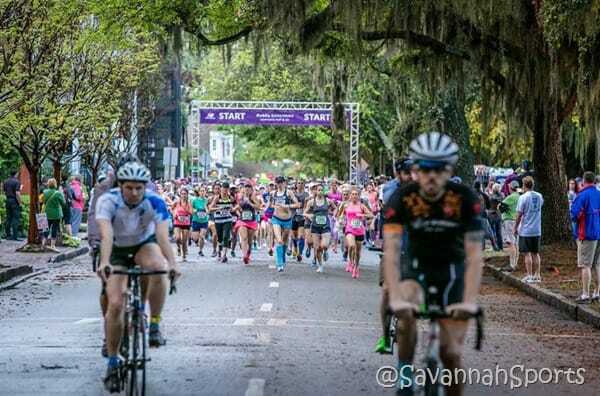 I was thrilled to spend my birthday in Georgia participating in the Publix Savannah Women’s Half Marathon and 5K. 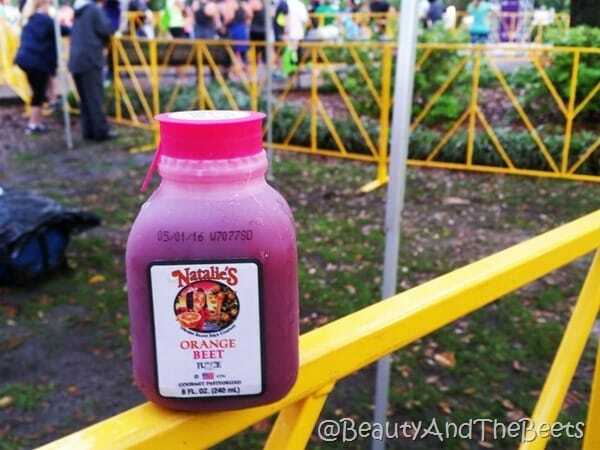 Mr. Beet and I left Orlando the day before the race and gave ourselves plenty of time to drive the 4 hours into Savannah. However, traffic was a nightmare, the weather was terrible and road construction delayed everything so our 4 hour drive turned into a 6 1/2 hour drive. 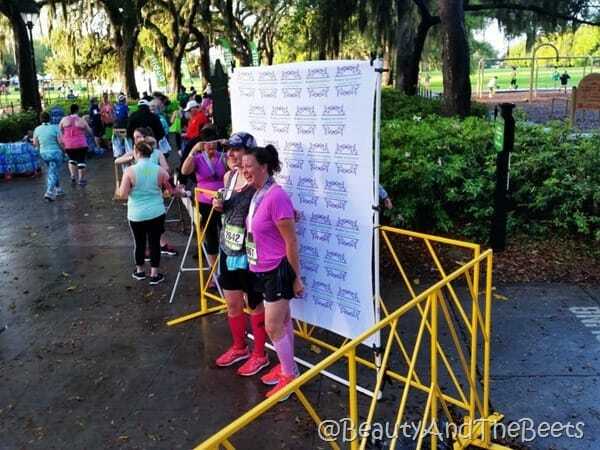 We made to Savannah with just enough time to catch the tail end of the New Balance Fashion Fitness expo and packet pick up. Between the nightmare-ish drive and the unpredictable weather, I opted to trade in my half marathon bib for the 5k instead. 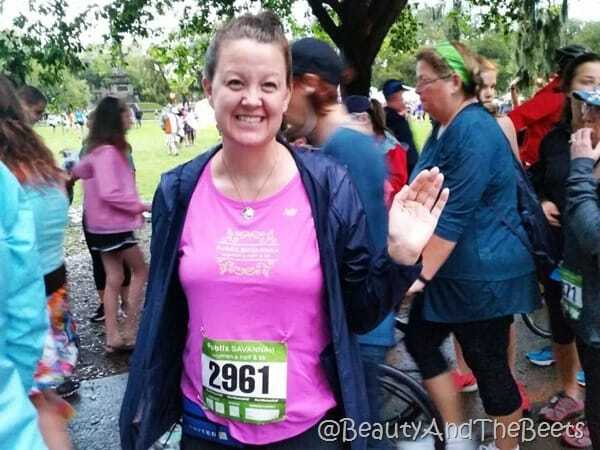 The forecast was calling for thunderstorms and heavy rain all night into the morning and the thought of running 13 miles in the pouring rain was not appealing to me. But I was going to conquer 3.1 miles come rain, snow, sleet or floods, as long as there was no lightening. 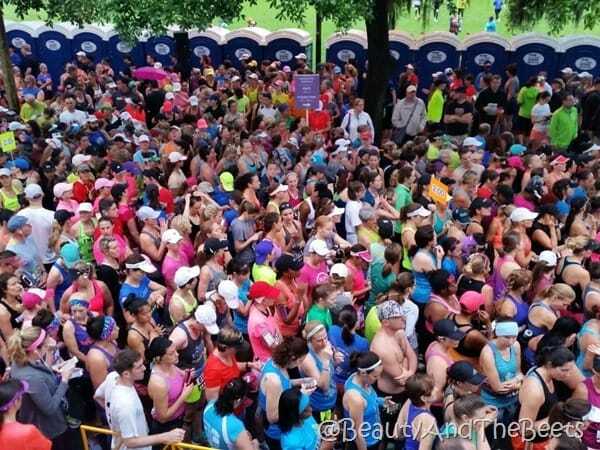 Lucky for race officials and participants, we woke early Saturday morning to a very light drizzle, no thunder and no lightening! It was however, quite muggy and humid. 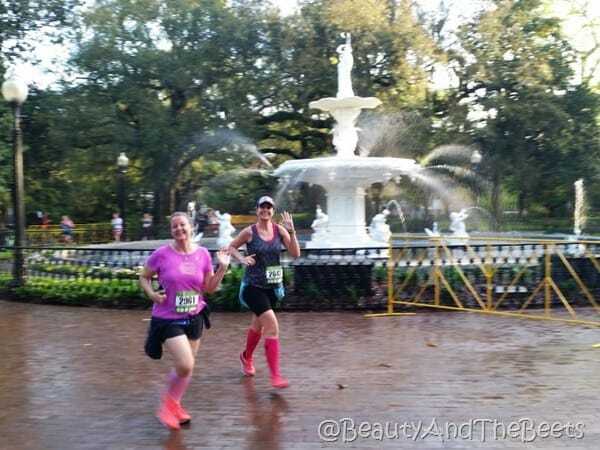 Thanks to my own personal photographer (Mr. Beet) I was able to get a couple of race shots. And I was struggling in every one! 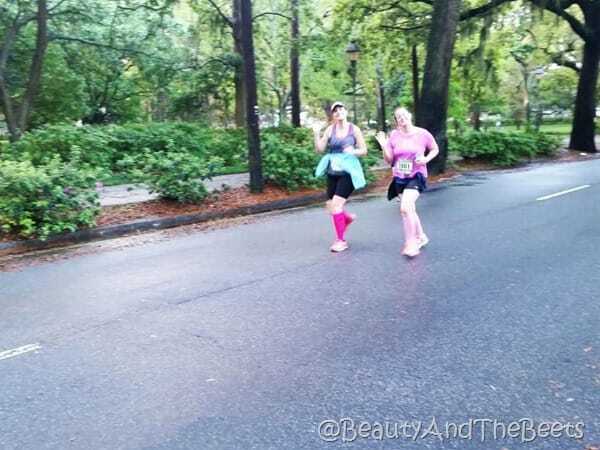 I ran with Meghan from Meghan on the Move and we did intervals with her Garmin. I am used to running 1/10th mile intervals, while she set us up on one minute intervals. I feel I could have done so much better time wise if I would have taken it easy a little bit more but Meghan kept me focused and would not let me slack. However, we still made it across the finish line in good time so I was happy. HAPPY BIRTHDAY TO ME!! 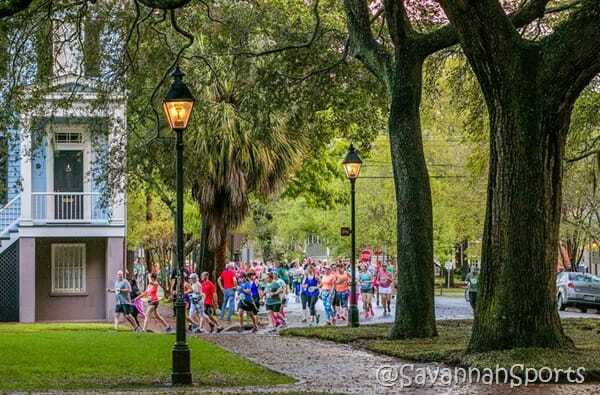 Savannah is such a cool town to run in. 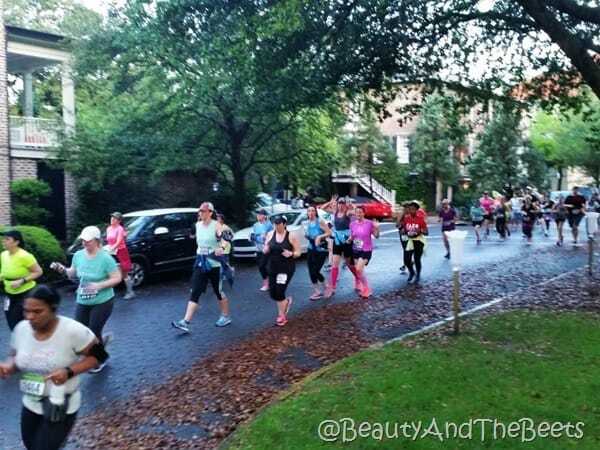 We ran past the iron gates, historic homes and down the brick and cobblestone streets that makes Savannah so famous. 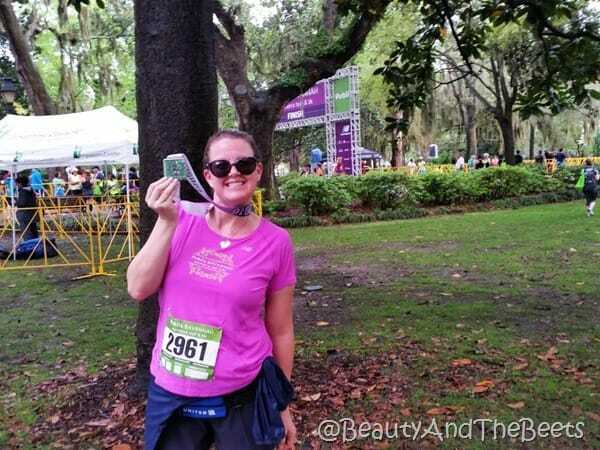 I also had the pleasure of meeting Jenn from Runs with Pugs, who was also a Publix Savannah Ambassador with me. 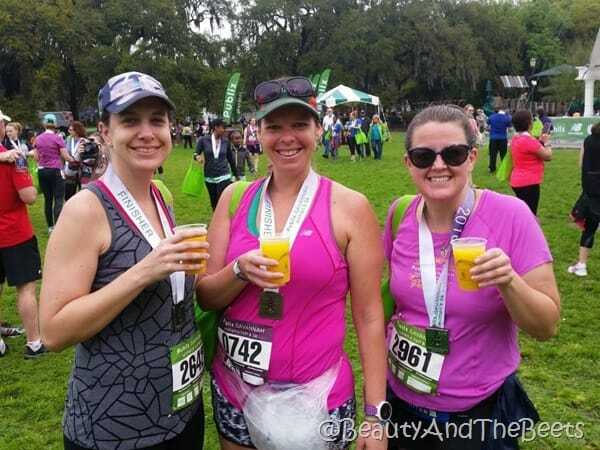 After the race we sipped on mimosas and orange juice and cheered on our fellow runners. But we were getting hungry. We retreated back to the hotel and got ready for brunch. Meghan suggested one of her favorite places The Ordinary Pub and there was nothing ordinary about it. It was an excellent choice. 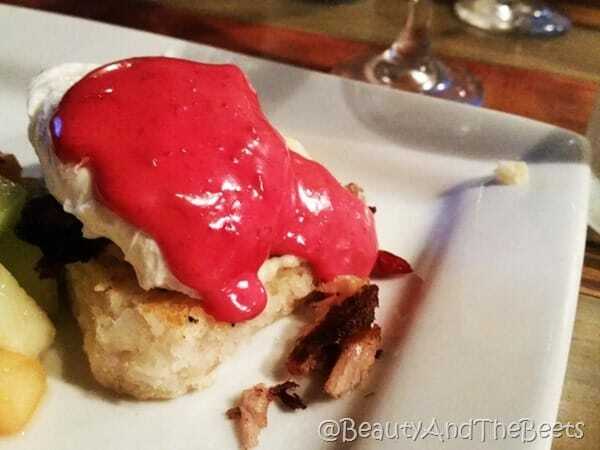 We had chicken and waffles and beets benedict – I highly recommend the brunch there! 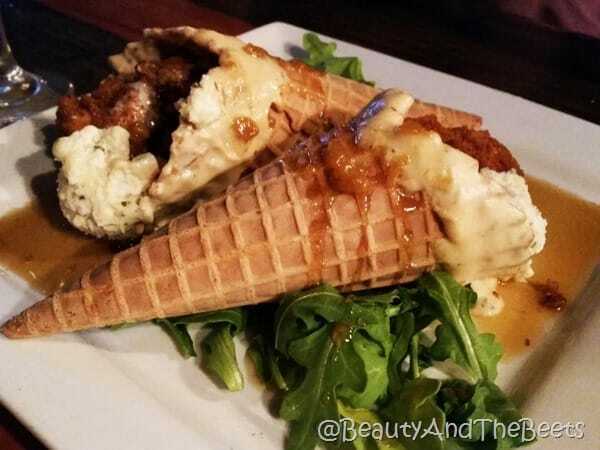 After brunch, Meghan, Mr. Beet and I decided to go to Leopold’s, the famous ice cream eatery. Oh, did I mention it was my birthday? 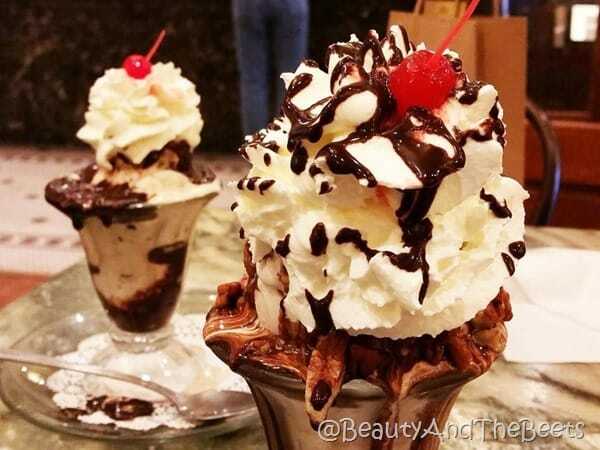 Yes, I deserved this sundae- with a scoop of Lavender ice cream and a scoop of Honey Almond & Cream, topped with pecans, chocolate, whipped cream and a cherry. 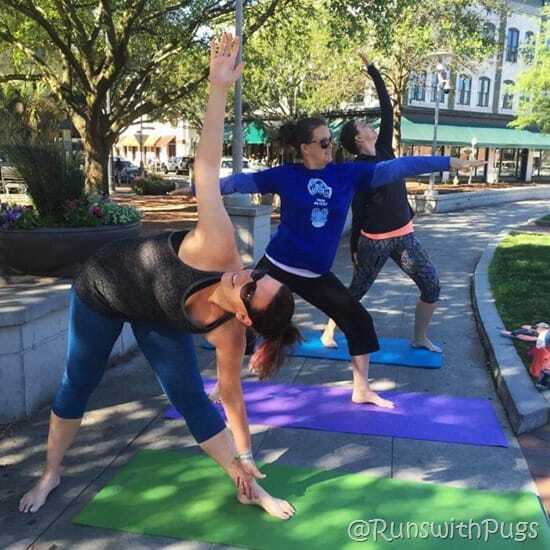 But no worries, if I didn’t run that sundae off in the 5K, then I yoga’ed it off Sunday morning. 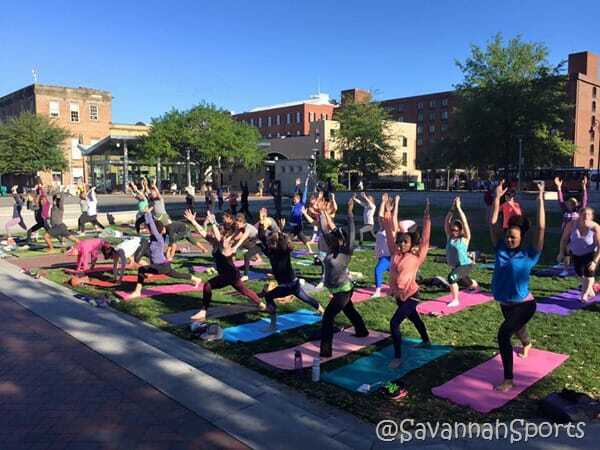 New Balance sponsored Yoga on the Square, a free event to those who ran in the marathon and 5K. 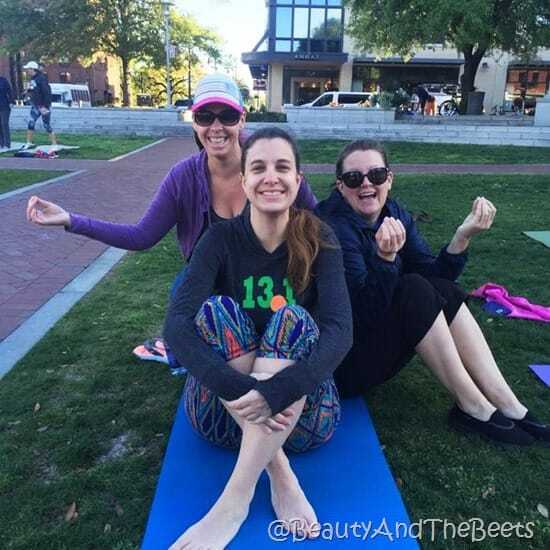 We gathered in Ellis Square and just enjoyed the cool and crisp Savannah weather while stretching and posing. I think I hung in there and did a pretty good job considering this was only my second time in a yoga class. I really liked our instructor as she encouraged us to laugh and have fun. 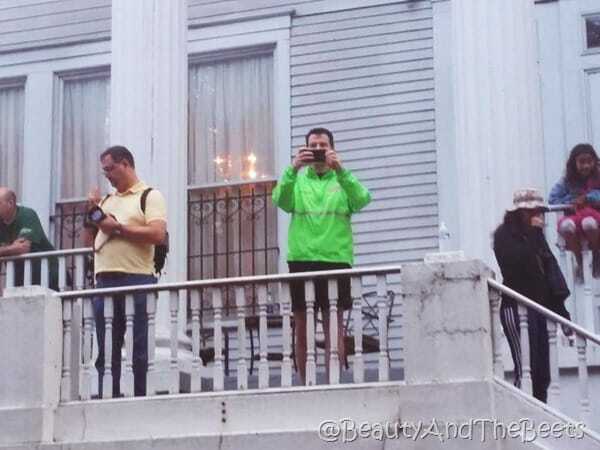 Both the race and the yoga event were only a few blocks from our host hotel- the Hilton DeSoto. 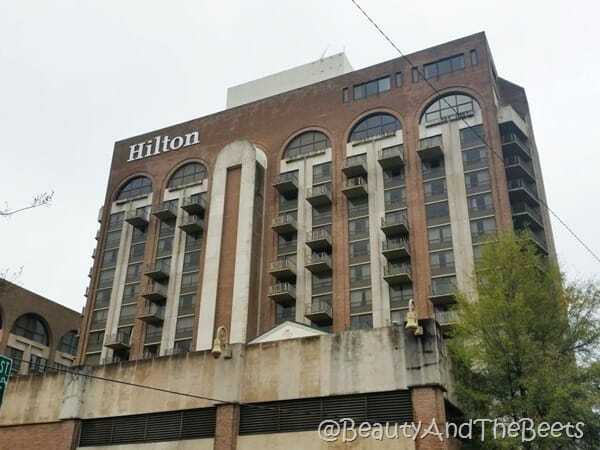 I highly recommend the Hilton as it was so close to everything in historic Savannah. Also, if you have been following along in my race adventures, you know that I have been struggling to find super comfortable running shoes. As an Amabassador to this race, New Balance provided me with a pair of new Fresh Foam 1080 shoes and they are the best thing to ever touch my feet. 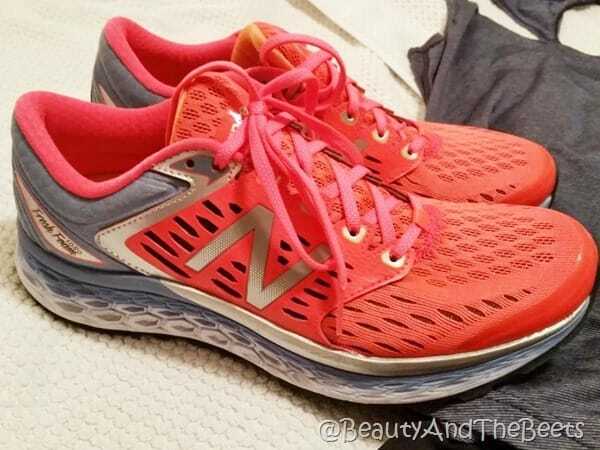 I love this shoes and they will continue with me on my running journey moving forward. It was then time for Mr. Beet and I to say goodbye to Meghan and Jenn, check out of the hotel and head towards Charleston for our next adventure. Thank you to Visit Savannah and the Savannah Sports Council for allowing me to be a part of such a great event! 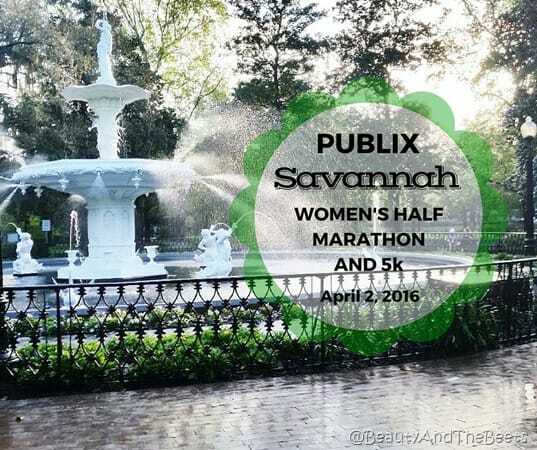 If you missed out this year on all the fun of the Publix Savannah Women’s Half Marathon and 5K, then be sure to save the date for next year- April 8, 2017. 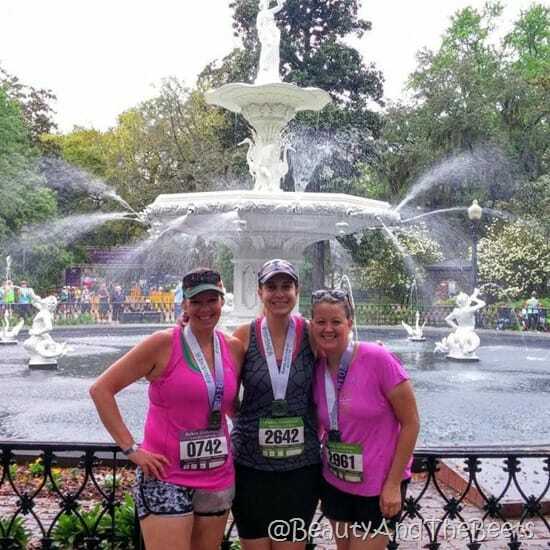 There really is nothing like gathering a group of your best girlfriends and spending the weekend in Savannah!